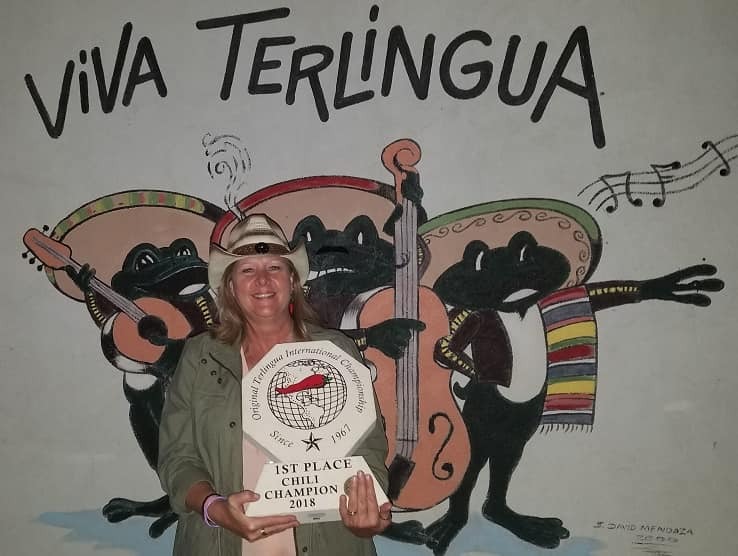 Midlothian resident Becky Daniels, a vice president of lending for First State Bank in Waxahachie, won the highly competitive “Original Terlingua International Championship Chili Cook Off” for 2018. Daniels was crowned Nov. 3 as winner of the competition, held each year in the legendary Ghost Town of Terlingua. Her husband, Joe Daniels, kept it all in the family by winning the Showmanship Category for his one-man show, Skidmark Chili. “I am very proud of my husband’s first place for his one-man show, he worked so hard but he has so much fun doing it. He had a Cars Theme (Skidmark Chili). Joe is constantly adding to his show and changing things to make it more interactive,” Daniels said. The chili competition was started by celebrated journalist, historian and chili enthusiast Frank X. Tolbert (“A Bowl of Red”) in 1967. His partner in the chili venture was Texas icon, race car designer and entrepreneur Carroll Shelby. Shelby planned to develop property in the remote West Texas area and thought the competition would make a great promotion. Tolbert and New Yorker Wick Fowler were the only two cooks in the original Terlingua chili cookoff 53 years ago. In 1983, a dispute resulted in two chili competitions. 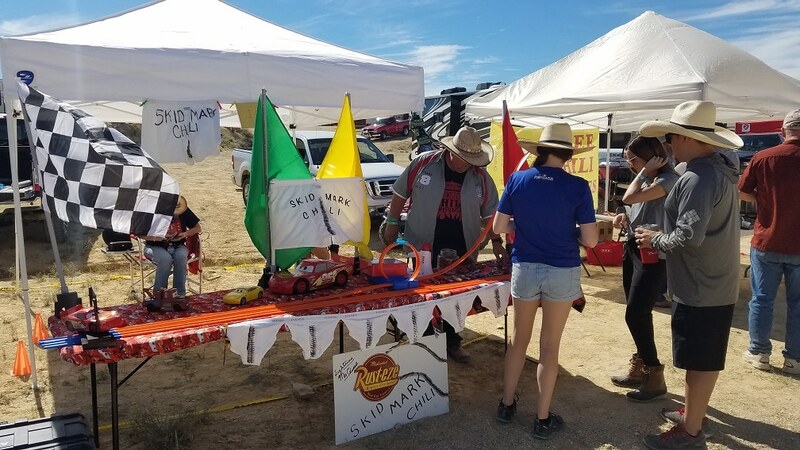 Both call their event the “original Terlingua chili cook off.” The larger CASI chili contest takes place on Rancho CASI de los Chisos grounds, just a few miles down the road from the other Terlingua group. Proceeds from the Original Terlingua chili cook off are donated to “Behind the Store,” a charitable organization that supports ALS. Donations also go to Terlingua first responders and schools. “My good friend of about 20 years, Brenda Johnson, was the 2017 Ladies State Champion and placed sixth in Terlingua. She and her husband, David, and my husband Joe and I go to almost every cook off together. Their sons and their wives also cook. Another couple we see a lot on the chili trail is Larry and Grace Walton. 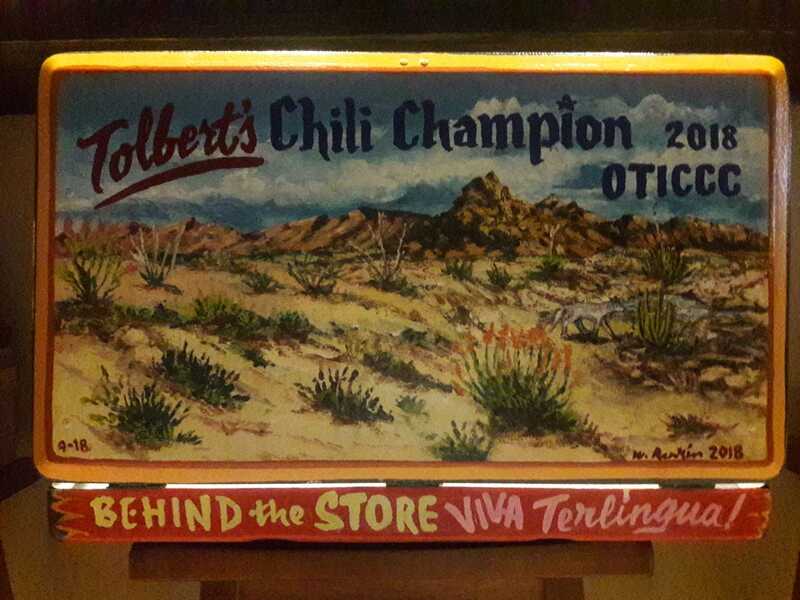 Larry was the 2011 CASI Terlingua champion and Grace placed seventh this year in Behind the Store. David and Kay Lefler also participate in a lot of the cook offs we attend. We have a very comfortable camper we tow when we travel. We actually spend more weekends in the camper than at home, at least that’s how it feels,” Daniels said. “My husband is the Great Pepper of the CASI NOW Pod. We were lucky enough to organize a cook off last year for the first annual Ellis County Fair. It was held at the Ellis County Youth Expo in Waxahachie to benefit the Youth Expo Center. We felt it was successful and hope to be able to work with the Waxahachie Chamber of Commerce and organize that again in March 2019,” Daniels said.